côté Pêche There are 3 products. Get relax ! 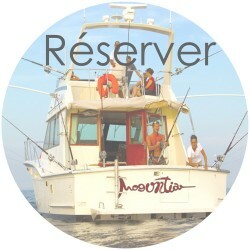 Do you need "farniente" Enjoy a deep sea day trip, far from the tumult of city life, while your friend fish. You may also see dolphins and whales we would find during the day. 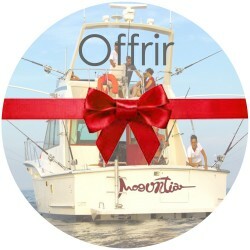 Offer a sport fishing day trip Download your gift voucher from your account!A Gift Certificate will be sent to you just after purchase. Ask us and choose the date you want to use the coupon.The gift voucher will be valid for 3 years.